Uncle Jerry’s has been making crunchy sourdough pretzels for 26 years the old-fashioned way: by hand. The original recipe (written more than 100 years ago) for these Pennsylvania Dutch pretzels includes no sweeteners, shortening, oil, preservatives, artificial colors or flavors – just simple ingredients like unbleached wheat flour, water, sourdough, yeast, salt, and baking soda. Today, the pretzels are made the same way in a cozy south-central Lancaster County, Pennsylvania bakery where each pretzel is rolled and twisted by hand and then baked to perfection: regular (special), dark, or lite. There are six varieties of pretzels available throughout the year: Specials (the original), Extra Dark, Whole Wheat, Whole Wheat Sesame Low Salt, Oat Bran, and Lites. Most of the varieties are offered with either regular salt or low salt, although the Specials are also offered with extra salt. 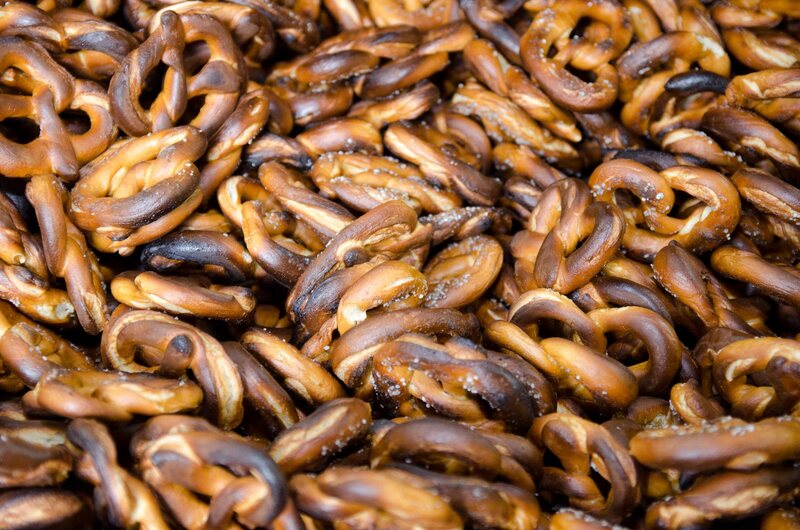 During the Spring and the Fall, chocolate covered (milk or dark) pretzels are offered. For those who can’t make up their mind, there is a variety case: six 8-ounce bags for $18.75 or twelve 8-ounce bags for $30.25. The sampler pack contains three 8 ounce bags and two snack packs for $13.50 or four 8-ounce bags and two snack packs for $17.50. 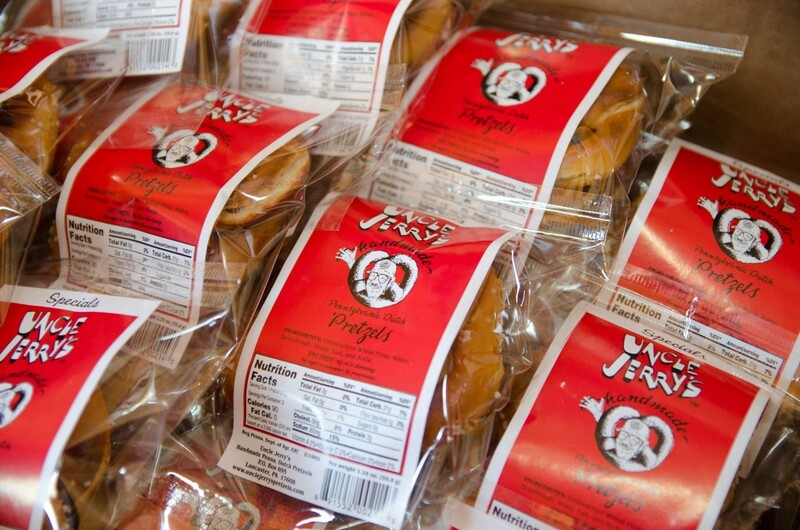 To read more about Uncle Jerry’s Pennsylvania Dutch Pretzels or to order the pretzels, go to the company’s website: www.unclejerryspretzels.com. The website also offers a store locator service to find a store nearby. ← Bring Back the Buick Roadmaster Estate Wagon, Please!